On February 6, the International Day of Safe Internet, the “Safe Internet 2018” 6-month program is kicking off, within the frames of which open classes on safe and effective use of the Internet and digital technologies will be held at schools in the capital and regions. The mission of this program is to promote effective and safe use of the Internet and to create educational content. The program is implemented by “STEM Center” and “Internet Society” organizations with the support of Ucom and other companies. “Being the fastest internet provider in Armenia, this year again Ucom stresses the importance of using the Internet for self-education and self-development purposes. 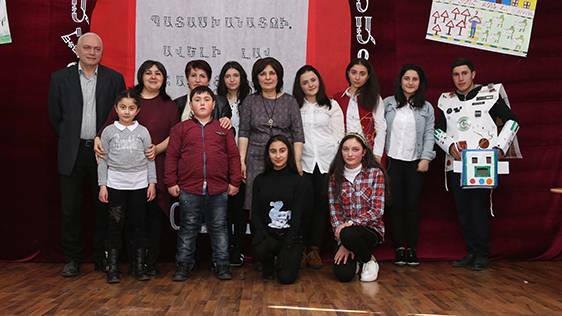 The lessons learned on the Internet may serve as a good basis for creating innovative solutions that will be highly important and widely applicable in the future,” said Hayk Yesayan, the Director General at Ucom. 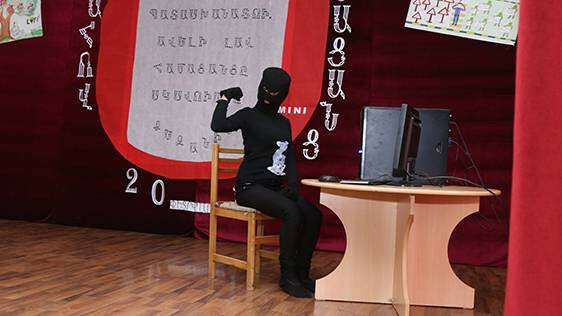 From February 6 to March 10, open classes on the Safe Internet will be held for the schoolchildren and college students in Yerevan and all regions of Armenia, from February 6 to May 1 - parents’ evenings on the same topic, and about 100 schools in Yerevan and regions will be enrolled in the pan-European eSafety Label program. The two republican contests to be held within the frames of the program will allow to widely spread Internet navigation key safety provisions among parents and children and will provide each school with an opportunity to demonstrate all topic-related educational initiatives. Seminars, as well as workshops, videos, games, books, media events and other practical steps intended for schoolchildren, their parents and teachers also will help to raise awareness on safe and responsible use of the Internet. This year the “Safe Internet” program will expand its borders for the teachers of natural sciences and mathematics. As noted by Haykaz Baghyan, the Director at STEM Center, it is important for children to shape right Internet navigation capabilities from an early age, for example, to evaluate personal information, to learn to apply security and privacy settings on their favorite games, apps or tools on their own. More details about these computer programs can be found at www.safe.am and www.stem.am. As a reminder, the “Safe Internet” program is dedicated to the International Day of Safe Internet, having been celebrated since 2004 on the second day of the second week of each year. By expanding its borders from year to year, the pan-European INSAFE initiative brings people together to fight against illegal, harmful and inappropriate content.